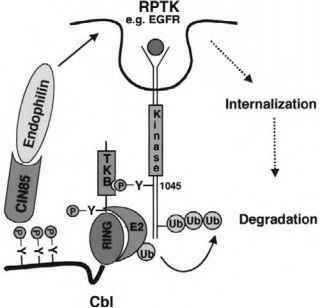 Figure 2 Cbl directs internalization, polyubiquitylation, and degradation of activated RPTKs. Ligand binding induces tyrosine phosphorylation of RPTKs and recruitment of Cbl to the activated receptor (by adaptor proteins not shown). 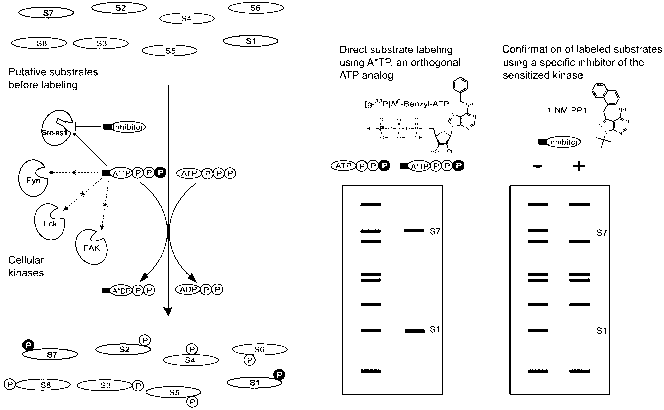 This results in the TKB domain targeting of specific phosphotyrosines on the activated RPTKs (e.g., Y1045 on EGFR). c-Cbl also becomes tyrosine phosphorylated, and this results in the recruitment of a CIN85-endophilin complex that is required for receptor internalization. The E3 ligase function of Cbl catalyzes the transfer of a ubiquitin molecule from the RING-finger-bound E2 to the RPTK. Continued addition of ubiquitin moieties leads to polyubiquitylation, which marks the RPTK for lysosomal or proteosomal degradation. Whether or not the ubiquitin chain assembly that is directed by Cbl involves lysine 48 linkages has not been determined. show perturbations associated with thymocyte and peripheral T-cell activation, respectively [1,26]. Thymocytes in c-Cbl-/- mice show marked activation of ZAP-70 in response to TCR stimulation, in contrast to wild-type thymocytes, which require costimulation of both the TCR and the coreceptor CD4. 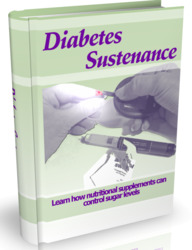 The crucial role of CD4 stimulation is to activate Lck, which phosphorylates ZAP-70 to trigger kinase activity. Remarkably, however, in c-Cbl-/- thymocytes ZAP-70 activation can be attained in the absence of Lck activation. The fact that this occurs without hyperactivation of signaling molecules upstream of ZAP-70 suggests that c-Cbl directly regulates ZAP-70, not its activators. The Cbl-b-deficient mouse shows a similar phenomenon, but it occurs in peripheral T cells as opposed to thymocytes. In this case, T-cell proliferation and IL-2 production are uncoupled from a requirement for activation of the coreceptor CD28. Thus, a lowered threshold for TCR signaling is a common theme in both mutant mice. Intriguingly, the uncoupling of a CD28 requirement for T-cell activation in Cbl-b-deficient mice does not involve enhanced ZAP-70 activation but instead results in a significant enhancement in the activation of Vavl. Furthermore, Cbl-b deficiency restores TCR-induced Cdc42 activity and cell proliferation in Vav1-/- mice. Recently, it was shown that the p85 regulatory subunit of PI 3-K, an upstream activator of Vavl, is polyu-biquitylated by Cbl-b ; however, this does not promote proteolysis of p85 but rather inhibits its recruitment to CD28 and TCRZ, thereby preventing the activation of Vavl . The Cbl mutant mice have therefore raised interesting questions about the abilities of c-Cbl and Cbl-b to negatively regulate different signaling molecules in distinct T-cell populations.